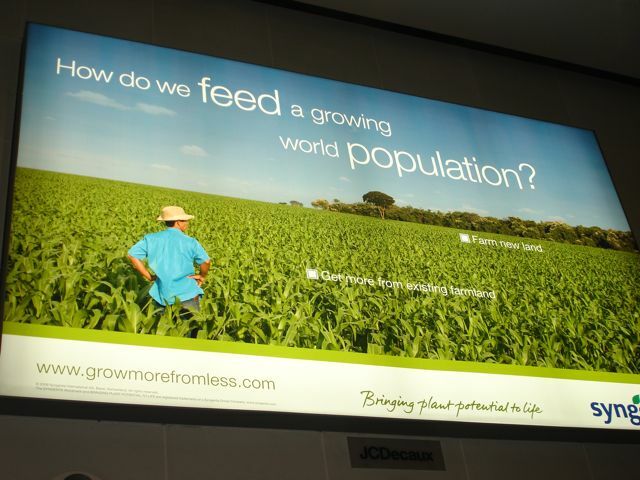 2 Comments on How do we feed a growing world population? It’s a good question. So, how do we? We can grow more using less water and land through technologies that unlock the potential of plants. These include drought-tolerant seed varieties, products that enhance plant performance and products that protect against insects, diseases and weeds. Scary if you ask me. How about we just start looking after our soil properly? Put everything back into the soil that we possibly can, find smart new ways of hanging onto nutrition so it’s not lost from the food chain, cool ways of working in our local communities so we can grow more food locally in the space we have using the resources we’ve already got on hand. More common sense and less chemicals would be a good start. And Bokashi is definitely on the common sense side of the balance sheet. We just have to find ways of getting it all moving faster, so we really can feed this growing world population. In time. Without taking scary shortcuts. You may be in for an uphill battle since many of the influential people in the EPA are also on the board or influential at Monsanto one of the biggest pesticide producers there is. If that’s the case it’s truly scary. Blah. Previous Entry Juicy green sunflower shoots! Next Entry Bokashi composting when its minus 24. Celsius.